It’s college football conference championship Saturday, featuring title games for the Big 12: Texas vs. Oklahoma (ABC); Sun Belt: Louisiana vs. Appalachian State (ESPN), American: Memphis vs. UCF (ABC); Mountain West: Fresno State vs. Boise State (ESPN), Big Ten: Northwestern vs. Ohio State (FOX); and ACC: Clemson vs. Pittsburgh (ABC). 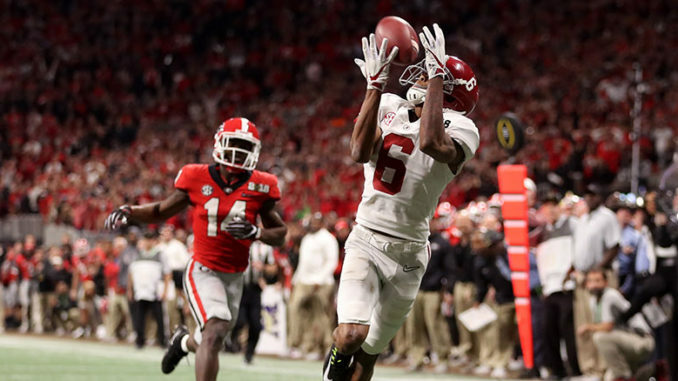 But the best of the bunch is a rematch of last season’s national championship game as Alabama and Georgia clash for the SEC title in Atlanta (CBS). Alabama’s defensive star Quinnen Williams finds inspiration from his family.